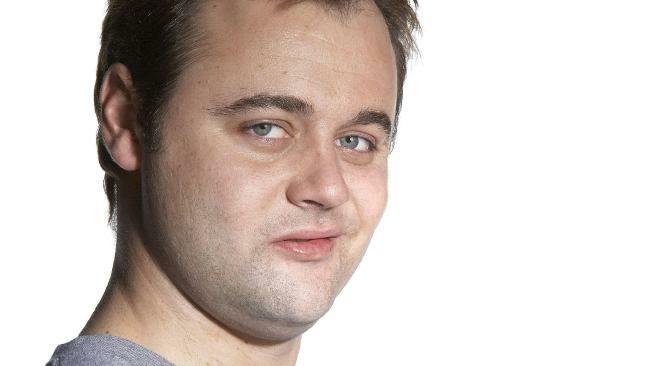 Gyton Grantley as Carl Williams in Channel 9's Underbelly. 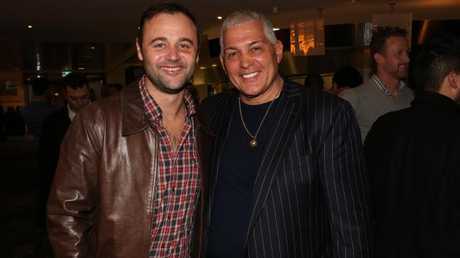 GYTON Grantley will forever be linked to Carl Williams. It's been 10 years since the actor first portrayed the convicted murderer in Underbelly and there isn't a day that goes by that he isn't called Carl by at least one person. When it aired around most of the country on Channel 9 [it was banned in Victoria due to an upcoming murder trial] a decade ago, it was quickly declared by critics as the best show on television and was hailed as one of, if not the greatest crime drama ever produced in Australia. Grantley went on to win several awards including a Logie for his work in the series, but playing Carl Williams also had a negative effect on his personal life and his career. To celebrate the show's anniversary, Gyton Grantley opened up to news.com.au about the good, the bad and the ugly parts of being associated with a killer. How did you prepare for your role as Carl Williams? I wasn't allowed to meet him and pretty quickly I decided that was a good thing. I watched a lot of videos, read a lot of interviews and there were some very handy books. Leadbelly by Andrew Rule and John Silvester was the inspiration for the show and that was really great. And there was also one called Big Shots by Adam Shand and he had quite a close relationship with Carl so that was really handy, I spoke to him a lot. But at the end of the day, we were making a drama so nothing's ever completely true. The best way for me as an actor to approach it was to look at this as a character called Carl who went about these certain things and who was inspired by a real life guy. That gives you the freedom to still make your own choices and allows yourself to exist within the dramatisation as opposed to try and replicate truth. Kat Stewart as Roberta Williams and Gyton Grantley as Carl Williams in Underbelly. Were you worried about the ramifications of playing such a notorious underworld figure? No. We were very blessed to have a huge amount of help from VicPol [Victoria Police] from a lot of the original detectives from the Purana Task Force and they actually introduced us to some of the' colourful characters' that are out there. Very quickly, once the news was out there that we were shooting, some of these 'colourful characters' would come up and approach me and introduce themselves and let me know their relationship with Carl. It was very apparent that they were all really excited about it, no one was really worried or concerned. That was part of the allure for some of these guys, especially back then, they were celebrities in their own right. So to have a big show made about their world was pretty exciting for them. In terms of Carl himself, I don't know. I've never really had any contact with him either directly or indirectly. Roberta [Williams] turned up to set one day which was interesting. We were elsewhere on a different location but she came to where the vans and trucks were and wanted to meet Kat [Kat Stewart who played Roberta in Underbelly] and luckily we weren't around so they had a valid excuse. That would have been interesting. I don't think Kat had any intention of meeting her, nor did I. She's quite a formidable character, Roberta. 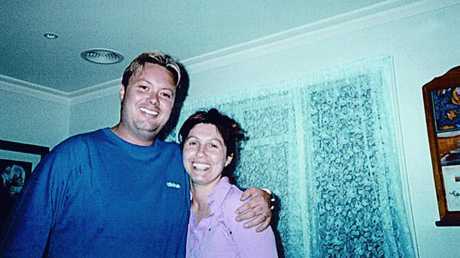 The actual Carl Williams with Roberta in the late 1990s. What was your impression of Carl when you were playing him? One of the most vital things in acting is that you can't judge your character. Nobody thinks they're a bad person. 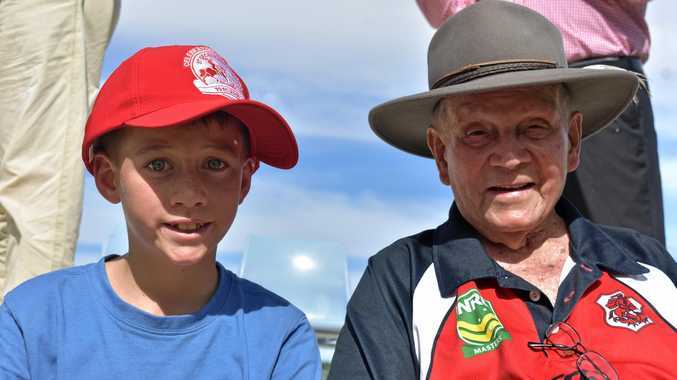 Carl Williams didn't think he was a bad person … You've got to come at it from their human point of view and try to understand why they do the things they do and why they behave the way they behave. I had to try and understand why he ticked and tocked and turned the way that he did. I found him quite fun. He loved his fried food and he loved nightclubs, strippers, friends, the notoriety. He loved his mum and dad and family and Roberta. He loved working hard too. He loved striving to become someone bigger in his chosen field. They're the kinds of things I looked for and found. What Gyton Grantley thinks of Carl is a different story, he's a drug dealing murderer, but in terms of playing a character the worst thing you can do is judge them. How did the show's success affect your life? My life got turned upside down overnight. I was famous all of a sudden … I lived in North Bondi which didn't help. I had paparazzi outside my front door for a few months and everywhere you look there was just eyes. Nobody learned my name, they just called me Carl from then on in. I coined it the crows: You'd be walking along and you'd just hear, 'Carl! Carl! Carl! Carl!' I experienced a phenomenal amount of recognition. It was a little overwhelming at times but luckily I had a lot of good friends in the biz who had been through it before … so I just tried to keep my ego in check and get on with life. 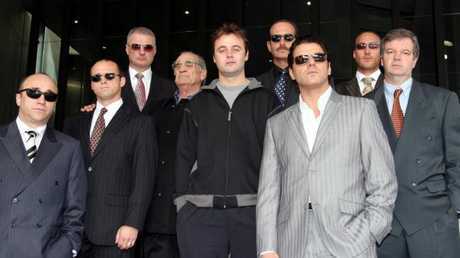 The first day of shooting Underbelly: L-R George Kapiniaris (George Defteros), Les Hill (Jason Moran), Simon Westerway (Mick Gatto), Gerard Kennedy (Graham Kinniburgh), Gyton Grantley (Carl Williams), Martin Sacks (Mario Condello), Vince Colosimo (Alphonse Gangitano), Callan Mulvey (Mark Moran) and Kevin Harrington (Lewis Moran). You said the fame was overwhelming, but did you enjoy it? It's kind of like a double-edged sword. You do enjoy the great reviews, the awards, the positive recognition … because it's for your work so you're certainly proud of yourself. But you could be eating dinner with a friend and people would constantly be tapping you on the shoulder asking you for a photo and not even asking, demanding. You just become a piece of property, a public property and people forget you're a human … So there are moments where it was really annoying but hey, I signed up for it. When I decided I wanted to be an actor I was aware that was an element of the world sometimes. It's part of the gig. And is it true playing Carl harmed your career? Yeah, there were elements of that. There was almost a two year drought at one stage where I couldn't get work. Basically the feedback was that I'd be doing fantastic auditions but the directors and producers said, 'we can't have Carl Williams playing that part.' It was a bit of a Luke Skywalker kind of situation I'd say. My face had become so synonymous with the character of Carl Williams that it was hard for people to see me as anything else. It took a little while and a couple of new jobs to rub that out and refresh people's minds and make them open to other characters. But ultimately I'd say it's done nothing but great things for my career. Have you ever run into one of the real-life people portrayed in the show? I've met Mick Gatto once and that's about it. I managed to avoid Mick [Gatto] for about seven or eight years and then I ran into him at a charity poker night at Etihad Stadium. He was very friendly and very lovely and complimentary. He gave me his card and told me we should do lunch and I said, 'thanks,' put the card in my pocket and went about my day. Most of them are dead or in jail. You played Carl Williams again in the 2014 TV series, Fat Tony & Co. Was it a tough decision to do it all over again? Yes it was. I wasn't sure if it was right to do it again. It was such a success and ended so nicely it seemed dangerous to jump back in there again. But I realised there was more to tell, that's what Fat Tony was about … So much had happened since we'd made the first Underbelly. Of course Rob Mammone [who played Tony Mokbel] was dealt a hard deal in the original one because a few weeks before we started shooting they caught him [the real Tony Mokbel so his whole storyline was sucked out and he basically appeared in the first Underbelly as a face and legally they couldn't say much. So finally after he was convicted we could make the show so it was important for Rob to get his crack at it and to tell the Tony Mokbel story because Mokbel's just as big, if not bigger than Carl. In the end I just felt it was right to continue the story and finish it off. And deep down I just didn't know if I could handle someone else playing him. It is a character, as I said, and I've just lived with the idea of Carl for 10 years now and I feel very close to that. And plus I got really excited about 12 doughnuts a day again. Gyton Grantley in Fat Tony & Co with Hollie Andrew who played Roberta Williams. Gyton Grantley is currently shooting the telemovie, The Blake Mysteries, which will air at a later date on Channel 7. The original series of Underbelly is currently available to stream on Stan Australia.